As a Mazda owner, you understand that it only makes sense to make sure that a quality vehicle receives quality service. When your Mazda needs maintenance or repairs, get the highest quality service by scheduling an appointment with Acme Auto Repair's team of skilled and ASE-certified technicians. Most shops focus only on the job under the hood, however, we focus on more than just your car’s mechanical needs. We strive to provide a superior customer service experience from the moment you enter the Acme Auto Repair's service center until the moment you drive away, completely satisfied with the service you received. No problem is too big or too small for our expert professionals to handle. Acme Auto Repair will be happy to answer any auto repair questions and provide thorough, efficient service. Because you rely on your Mazda, you need reliable service. No matter what model you drive, Acme Auto Repair's technicians are qualified and ready to give it the best service available in Concord, CA. 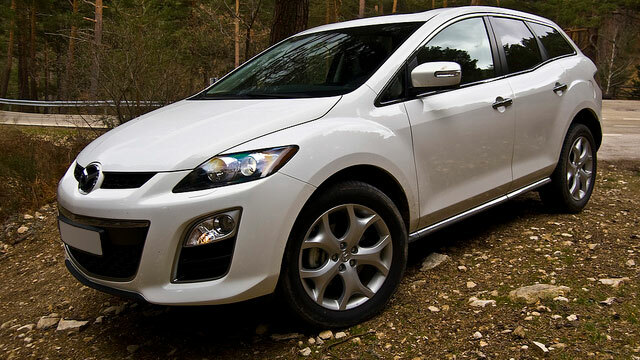 Acme Auto Repair in Concord, CA, offers a full range of repair and maintenance services to the entire Mazda lineup. Call Acme Auto Repair today at (925) 326-4771 to speak with our knowledgeable staff or stop in at 2825 The Alameda Concord, CA 94519 so that we can schedule an appointment for your Mazda vehicle.